Plan on picking up Gears of War: Judgement when it arrives in a few months? 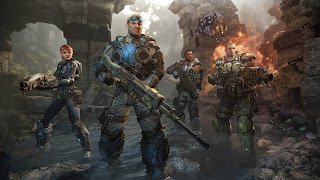 You'll be happy to know that the game, which is a prequel to the original title, will include a code to download the Games on Demand version of Gears of War no matter where you pick the game up from. This version of the game will release in a limited run, so you'll have to be among the first purchasers if you want to get the download. The deal will be available everywhere Judgement will be sold, except for Germany since the original title had rating restrictions in the country. Gears of War: Judgement is set to launch in March.